There’s more to Vietnam than mouthwatering food and rich history and tradition. Perhaps less known is that you can also go for some pretty awesome hikes in Vietnam. Hiking in Vietnam spans the entire hiking spectrum, from easy walks through historic villages and on scenic beaches to serious, long-distance jungle treks. The country’s landscapes offer hikers a unique experience. This is where you can hike through highland valleys, along terraced rice paddies and underneath towering limestone mountain ranges. No matter your hiking experience or physical fitness, you’ll find a hike in Vietnam for you. If you’re after remarkable mountain scenery, northern Vietnam is your best bet. Elsewhere in the country, you’ll find trails in nature reserves and national parks, as well as along the coast. Below, we’ve selected the ten best places for hiking in Vietnam. Established in 1992, Ba Be National Park is also known as Ba Be Lakes. 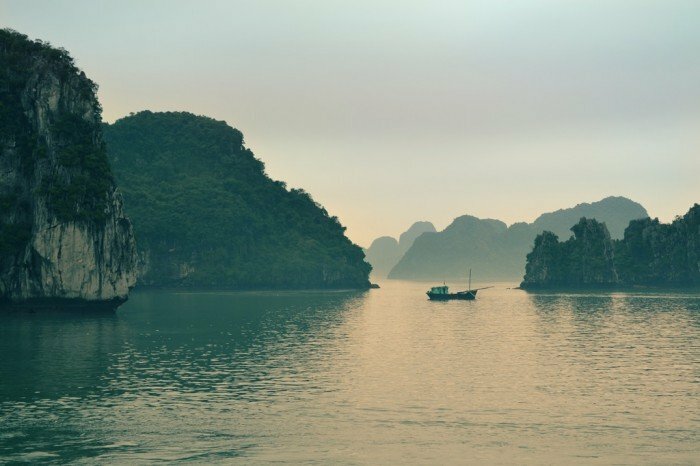 Featuring gorgeous scenery including deep valleys, dense rainforests, waterfalls and soaring limestone mountains, the park is centred on Vietnam’s largest natural lake. There are many hiking trails in Ba Be National Park. The best way to experience and explore this stunning region is on a multi-day trek. These excursions lead past waterfalls and caves, karst outcrops and rice fields. 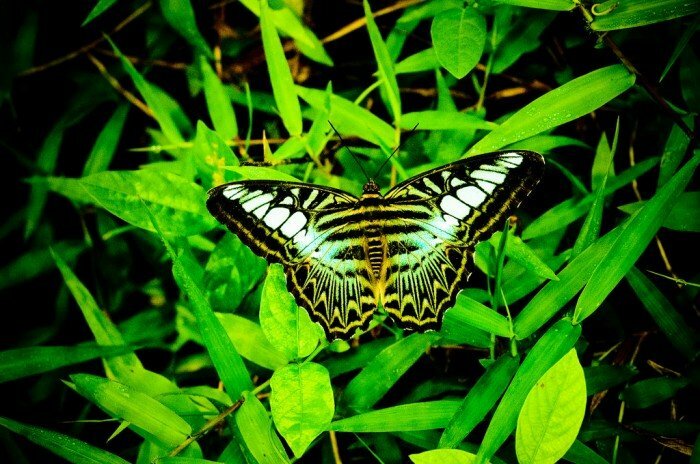 For wildlife watching and hiking, head to Cat Tien National Park in the south of Vietnam. Protecting ancient trees and an impressive number of wild animals, this is where, if you’re lucky, you can spot gibbons, some of the 79 reptile species and about 400 brightly coloured species of butterfly. If you’re exceptionally lucky, you may even catch a glimpse of a tiger or elephant. Make sure to call in advance to make a reservation, though, as this park permits only a limited number of visitors. For quiet rural scenery, you’re encouraged to visit Pu Luong Nature Reserve. Comprising two parallel mountain ranges and the valley in between, this is where you’ll find picturesque rice terraces, limestone hills and biodiverse forests. As is the case in many regions in Vietnam, this one is also best explored on an overnight trek. One of the most epic (long) day hikes in Vietnam is found in Cat Ba, an island near Ha Long Bay, In Cat Ba National Park, there’s an 18-kilometer hiking trail up a mountain. It’s recommended, although not mandatory, to do this six-hour hike with a guide. 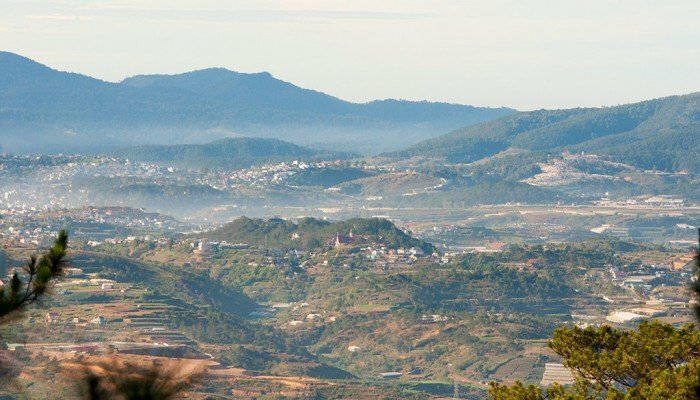 The rewards for this strenuous climb are the chance to spot wildlife such as macaques, civets and deer, and enjoy beautiful views. 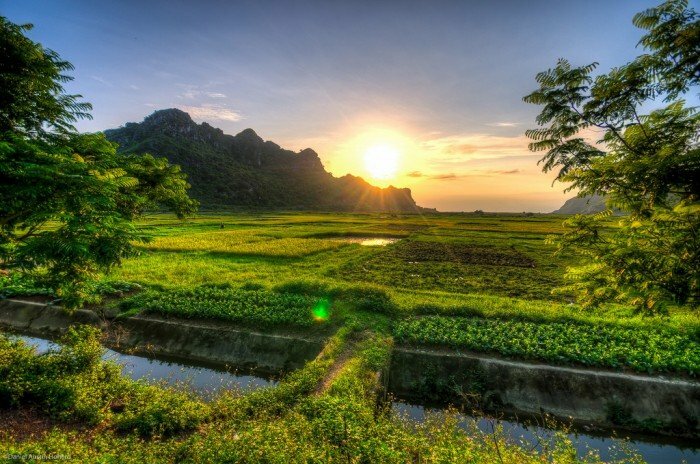 In the northwest of Vietnam, more than 130 kilometres from the busy city life of Hanoi, Mai Chau offers peace and quiet. 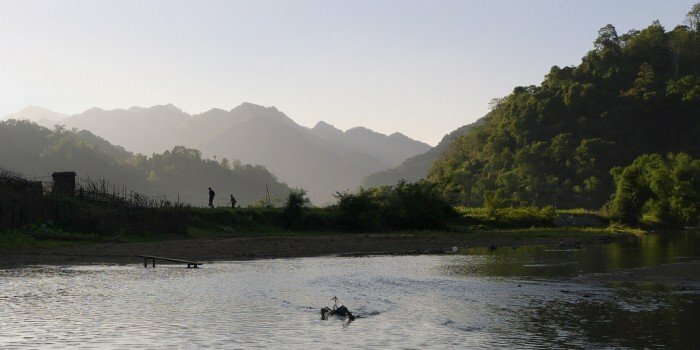 Although the town of Mai Chau doesn’t have much to offer by itself, it’s the surrounding landscape of rice fields and tiny villages that make this one of the best destinations for casual hiking in Vietnam. Facilities are excellent and the region’s network of trails is dense. Vietnam’s oldest and largest national park, established in 1962, Cuc Phuong National Park is one of the country’s most important conservation areas. Biodiversity is extraordinary in this park of primaeval forests and karst mountains. 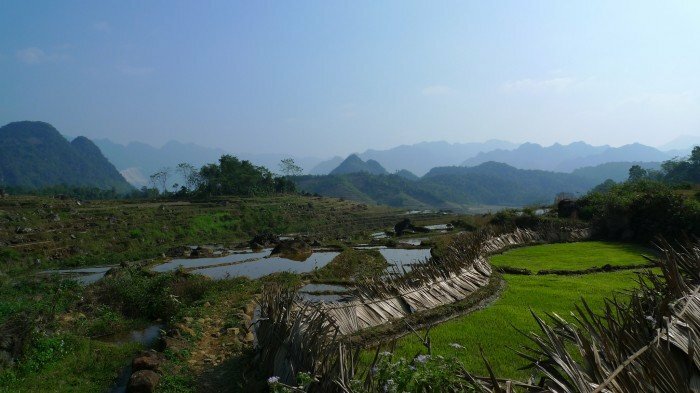 It makes for a great day trip from Hanoi, its variety of hiking trails catering to all skill levels. Recommended hikes to do are up to the ridge of the karst mountains for amazing views down of the valleys. There’s a number of day hikes available in the park, whether self-guided or with a local guide. 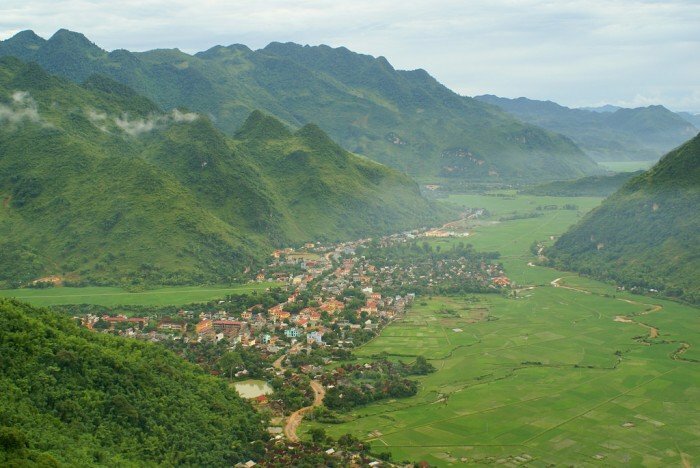 One of Vietnam’s greatest trekking destinations, Cao Bang is a northern province characterised by mountain scenery. 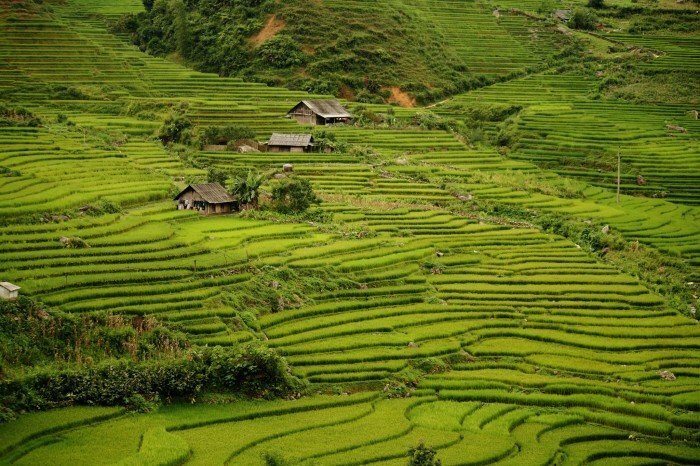 With its landscape of karst mountains, deep gorges, rice terraces, glorious waterfalls and meandering rivers, the views are pretty fantastic anywhere in the region. 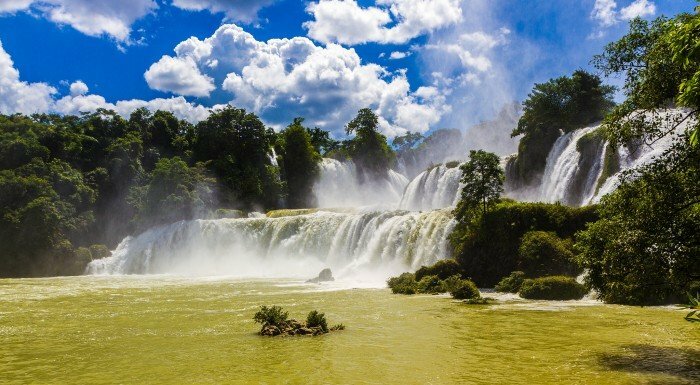 One of the best hikes in Cao Bang is the one to the Ban Gioc waterfall, on the border with China. This is by no means a long or difficult hike, though. It’s simply incredibly scenic! 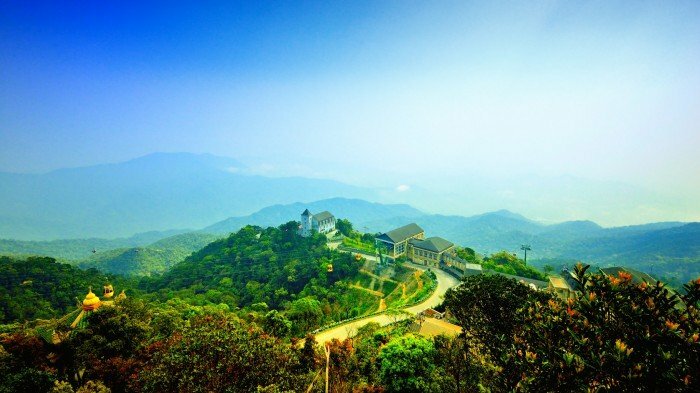 Easier, yet scenic, hiking trails are found around the Ba Na Hill Resort. This is actually somewhat of a theme park, with a replica of a French colonial town and a funicular railway. Although it has a kitschy feel to it, the short trails leading to overlooks and waterfalls make it absolutely worth a visit.